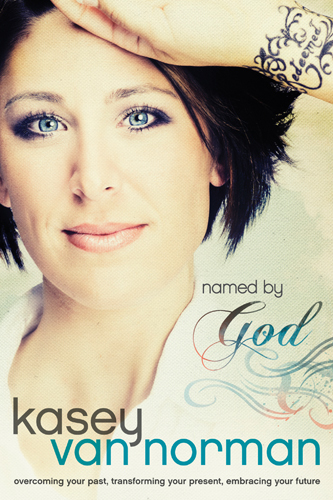 Named by God is written by Kasey Van Norman, who is a new author to me. I chose this book because I was intrigued by her story. She has an obvious passion for God and people and I was curious to read her thoughts. I enjoyed this book because she takes her own life situations and is able to see the good in everything that happened in her life. Each chapter she starts with a personal experience or a story and then weaves the scriptures in to show how God works in crazy awesome ways. Kasey has some great points and many things I could understand and appreciate. She was born and raised a Christian and yet God had so many plans for her life to get her to where she is in ministry today. Overall it is a very good book that is thought provoking, don't expect to sit down and read it all at once. Check out Kasey VanNorman Ministries here! "I received this book for free from Tyndale House Publishing. This is my honest opinion on the book."